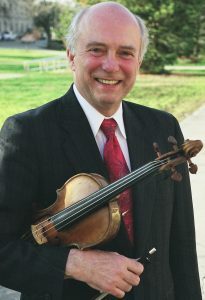 Gerald Fischbach is Professor Emeritus of Violin and String Pedagogy at the University of Maryland, where he was also Director of Graduate Studies in Music and before that Chair of Strings. As violin soloist and chamber musician, he has appeared to high critical acclaim throughout North America, Europe, Russia, China, Malaysia, Australia, and New Zealand. He has recorded for CRI and Archive. Dr. Fischbach’s private students are winners of numerous prestigious awards and competitions and hold positions worldwide in leading orchestras and music schools. He is one of the world’s most respected string pedagogues. His articles and columns frequently appear in professional journals in this country and abroad. His method books, instructional videos, and music editions are popular worldwide. He is in great demand around the globe as workshop presenter, adjudicator, clinician, and guest conductor. 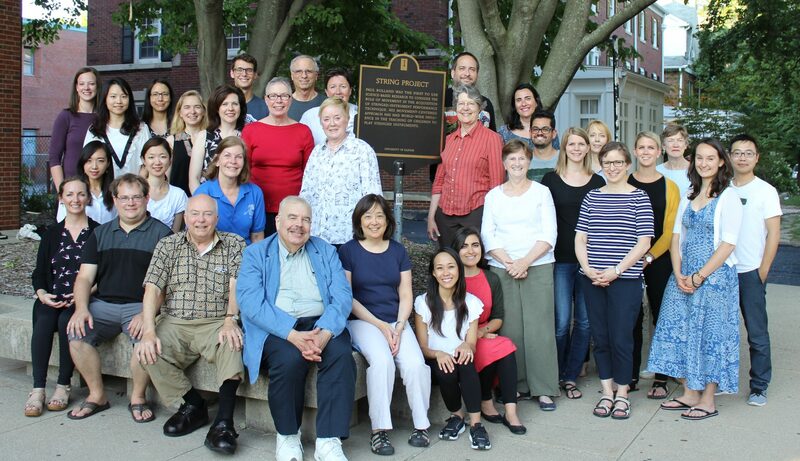 For 33 years, Dr. Fischbach directed the renowned summer seminar, International Workshops.He was the founder of the Civic Symphony of Webster Groves and the St. Louis Youth Symphony. He has served as President of the American String Teachers Association. For Music Teachers National Association, he has been Strings Program Chair for the national conventions, a founding member of the Pedagogy Committee, and MTNA Foundation Advisory Board member. He has served on the Advisory Board of Associated Chamber Music Players and as a board member for the ACMP Foundation. In 2013, he was given the Teacher of the Year Award by the American String Teachers Association MD/DC Chapter.